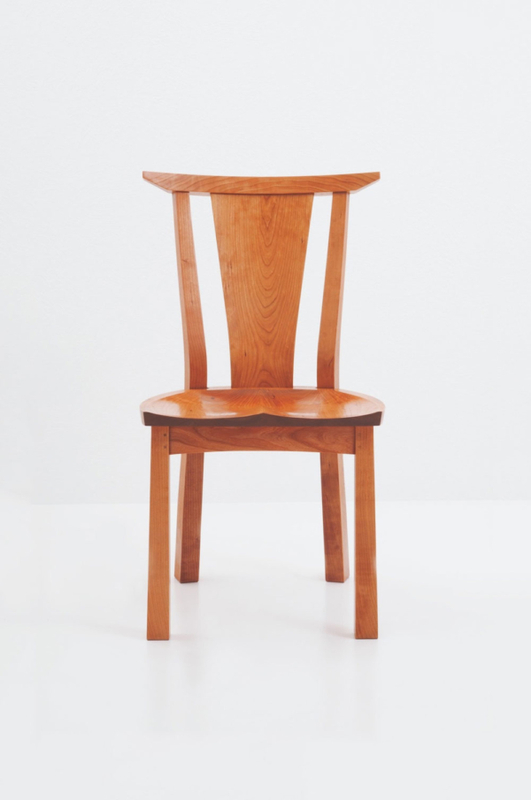 Inspired by the Japanese concept of wabi-sabi, by Scandinavian and Shaker designs, and even by our own American Bungalow Collection, the Edo Dining Chair takes only what it needs to form a unified whole. 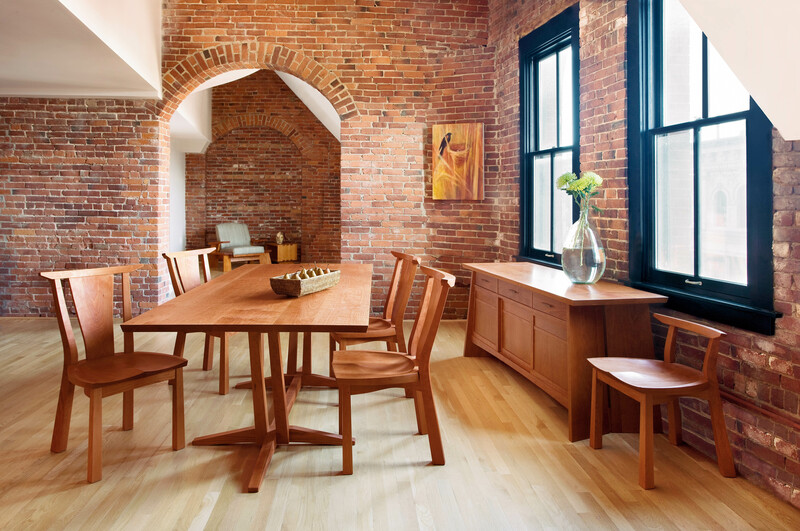 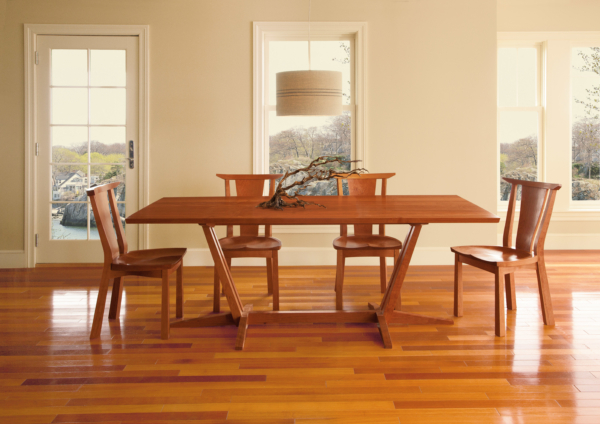 In its careful, thoughtful use of sustainably harvested American hardwoods, our Edo Chairs highlight natural ring patterns that honor the tree’s long growth, while foretelling the long future of the finished piece. 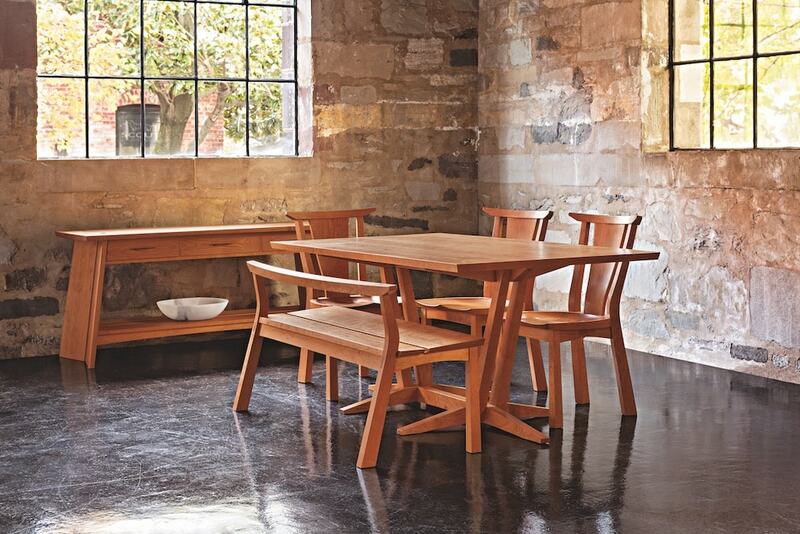 Crafted with a wide, carved plank seat, the Edo Dining Chair cossets its fortunate occupant, providing both stability and comfort. 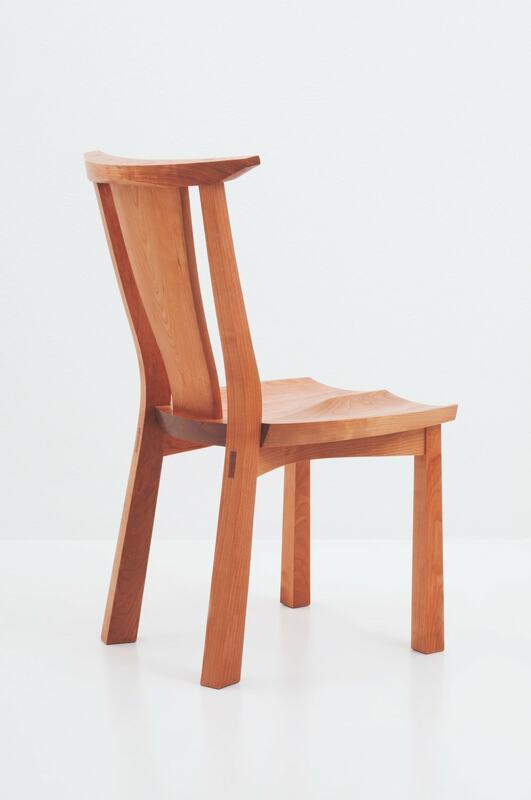 The gently carved crest echoes the illusory lines of the seat and apron, and reverse-tapered legs are cut with three facets to accentuate the play of light. 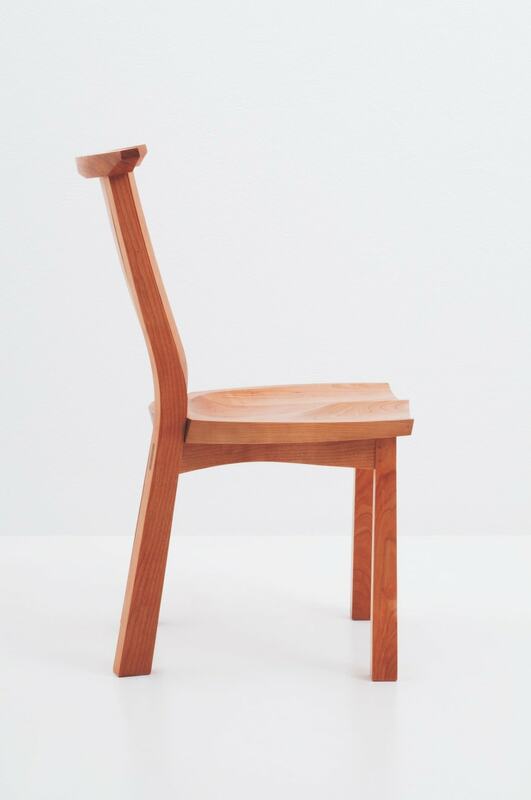 The effect is a solid and versatile chair that outlines space with minimal visual effect, fulfilling the potential of an exercise in optical refinement. 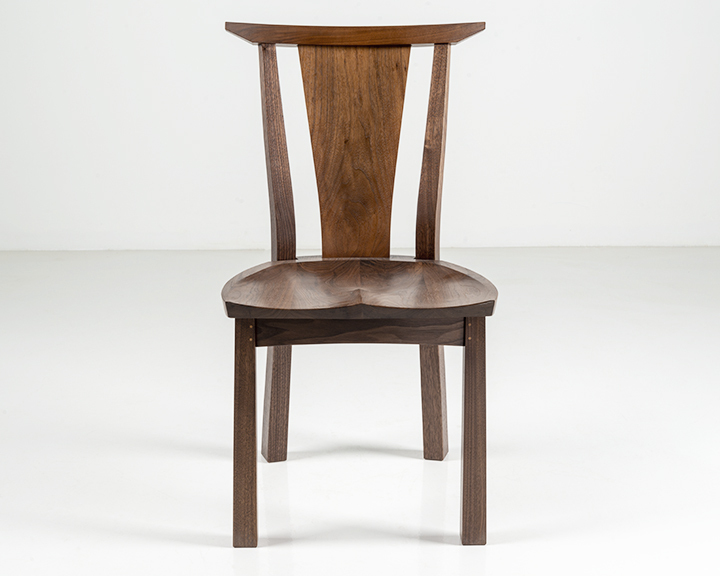 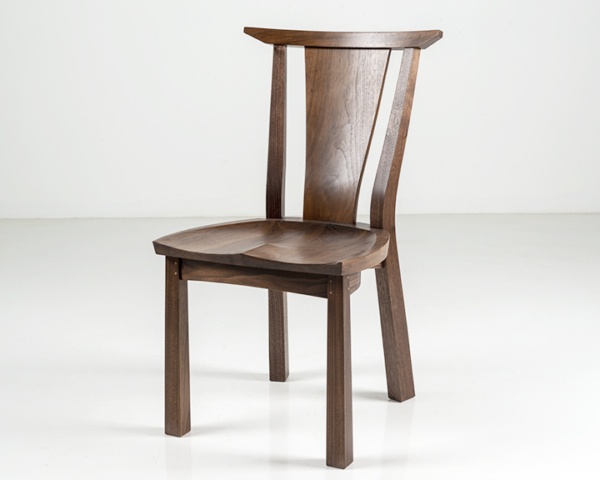 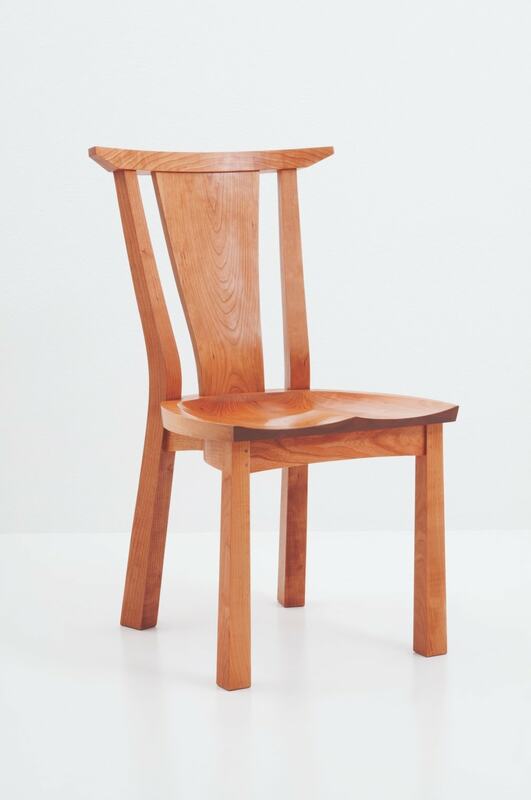 The chair has a wide solid wood back that is canted, shaped and polished to highlight its unique growth-ring pattern, emblematic of the passage of time and the trees from which this harmonious furniture is crafted. 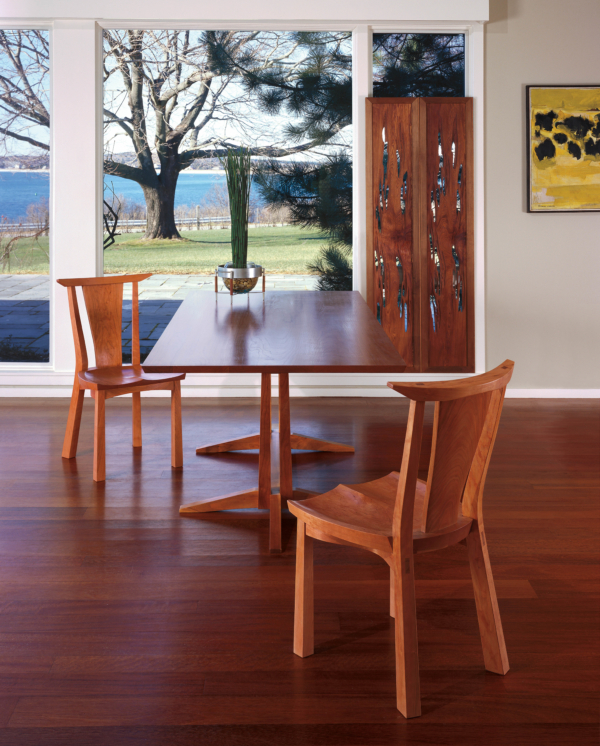 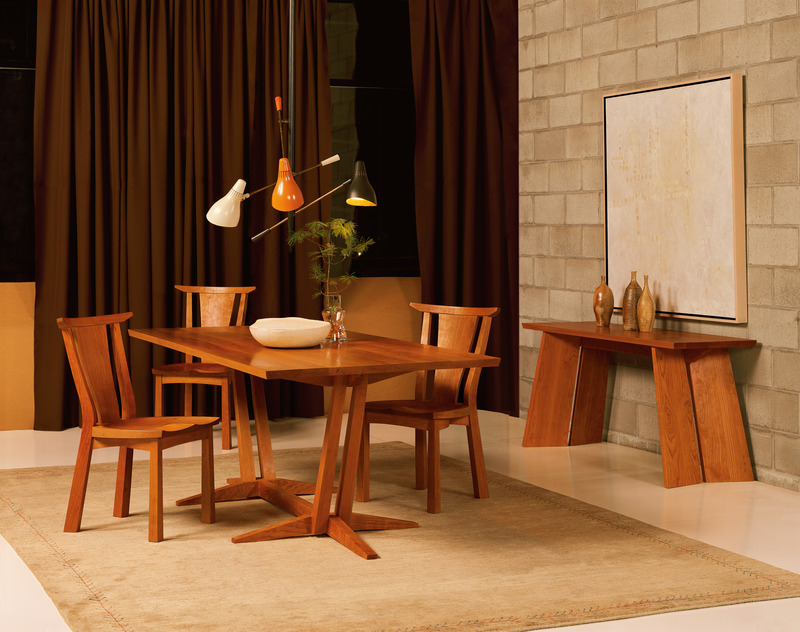 Made to complement its companion chairs and any dining table, the Edo Dining Chair is a singular success in integrative design, made ageless by its utility, simplicity, strength, and beauty.